Don’t feel like you have to write the perfect Instagram caption on the spot when you have to post. That can be stressful. Take your time to prepare your caption before you post on Instagram. You can use Preview app to plan your posts and prepare your captions. And the last tip is: don’t get obsessed with your captions. Don’t stress out. Keep it natural otherwise you won’t enjoy your Instagram experience. Instagram is all about having fun and being social. So you should definitely be having fun in the process. Questions can help you get more “engagement” (if your goal is to grow your Instagram page). Don’t go crazy asking questions all the time. Again, keep it natural. Everyone should be able to read, understand and answer your question. Tip: Write your question at the beginning of your caption so that people see it straight away when they see your post. Yes or no? Yay or nay? What’s the time where you are? What is one word to describe …? Your caption can be related to the photo in a creative way. Some people play with words and use metaphors in their captions that are related to their photo. This is a very fun Instagram caption idea because you’re inviting people to join the fun. Personal captions are usually long captions. They are like a story. They are a great way to build relationships with people because someone can always relate in one way or another to your situation. Your situation, day or project might inspire or motivate someone. Note: it doesn’t mean that you have to write a long captions in order to build relationships. If you’re not the kind of person to write long captions, don’t write long captions. It will feel forced and not natural (you won’t have fun and people will feel it). If you’re not the kind of person to write long captions all the time, you don’t have to. Chris Hemsworth (aka Thor) is really good at this. His Instagram captions are usually short and fun (see below). 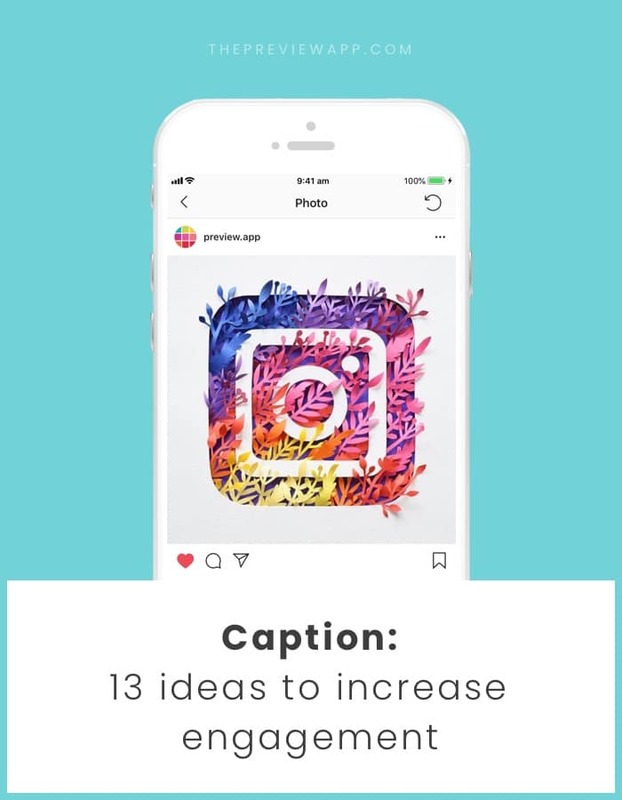 There are many different ways you can use this Instagram caption idea. Writing captions can be easier if you tell a story. Think about your Instagram as a TV series. All the episodes in a series are linked together. So what story can you tell? @thebucketlistfamily: follow the family as they travel around the world. Each week they visit a new country. New country = new story. @sarahsday: Sarah sums up her day, everyday in her caption. She also tells her readers what she is going to do next. This way people are always looking forward to her next posts. They know what to expect and they’re getting excited. This is a fun Instagram caption idea. Write 2 different captions in one caption. One caption can be the “Instagram-approved caption”. The other caption under it can be your real thoughts, like @palmerletteringco did (see below). Another example is by @outofthebex: she started with a “general” caption and then a specific caption for those who are part of her community. You can get very creative with this caption idea. Let me know if you try it out. This is a fun Instagram caption idea. Break your paragraphs using emojis. People usually use emojis that are related to what they are talking about. Why so serious on Instagram? Some people are having a blast in their Instagram caption. They are writing like they speak and are not taking things too seriously (which makes it fun on Instagram). Give a “title” or “heading” for your caption. It can introduce people to what you are going to talk about. Sorry not sorry. This needs to be the first Instagram caption idea (and it is the best one I can give you). It sounds cliché, but it’s true: there’s nobody else out there like you, so be yourself and you will stand out (re-read this sentence). Sometimes we are so focused on the number of likes, comments and followers that we forget that there is a person behind an account. And who says “person” says “personality”. Instagram is a personality platform. People connect with people. You shouldn’t try hard to “fit in” or to “be like” someone else on Instagram. Be yourself. Write what you would want to read. The reason why some of the biggest (and smallest) Instagram accounts are so successful is because they are “personal” and they are “themselves”. I hope you enjoyed these Instagram caption ideas. Do you have a favorite? If you have other ideas, please feel free to share them in the comments.